Why UTRGV? 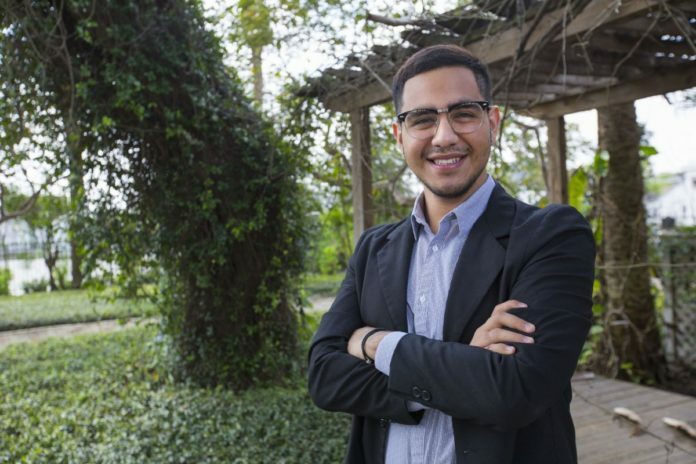 When I enrolled at UTRGV, I was under the CAP program that allowed me to stay at the institution for a year and eventually transfer to UT Austin to continue my studies. Upon my stay, I realized that UTRGV offered so many opportunities that, to this day, have helped me grow academically as well as personally. The support from faculty is incomparable as they truly care about their students’ academic success. UTRGV has shown its full potential over the years and I am more than grateful to be a part of their journey. What made you decide on your current major? I Experiencing many health issues within my family, and participating in numerous medical activities during high school, I knew that pursuing a career in medicine is what I wanted to do. I chose the biomedical science program because with their intense course curriculum and challenging learning environment I had no doubt that they would prepare me for my future aspirations. What are your plans after graduation? Ultimately, my plan is to attend medical school and earn my MD/PhD degree. I strongly believe that integrating medical research with my first choice specialty, general surgery, will challenge myself into learning new medical advances. In addition, I would like to return to the Rio Grande Valley and assist my community by providing affordable medical attention and exposing the younger generation to the healthcare field. What are you involved in on and off campus? I am part of the MBRS-RISE Scholars program that allows me to conduct research under the supervision of department chair, Dr. Saraswathy Nair. I am the founder and current president of Volunteers Around the World student organization. Additionally, I am also a member of the National Society of Leadership and Success, and the American Medical Student Association. Within the Engage Scholarship & Learning office I am a student ambassador and a participant of the ASPIRE Program. What is your biggest accomplishment to date? Some of my greatest achievements are participating in my first summer internship at the UT Health San Antonio Long School of Medicine and receiving the Texas Society of Allied Health Professions Undergraduate Student Award hosted at Baylor College of Medicine. Aside from these achievements, continuing my education at a higher institution and being a first-generation college student is one of my biggest accomplishments that continues to motivate me every day. What advice do you have for future students? Primarily, my advice is to enjoy your college experience. Adapting to a new academic environment and having other responsibilities on your plate can be quite overwhelming. College will be a place where you will find yourself because it’s the first step into the real world. You have the opportunity to build new friendships, take courses of interest, and most importantly, set the foundation for your future. Therefore, be sure to enjoy the ride.